Ceramic coloured nanopigments are promising for commercial cool paint applications. 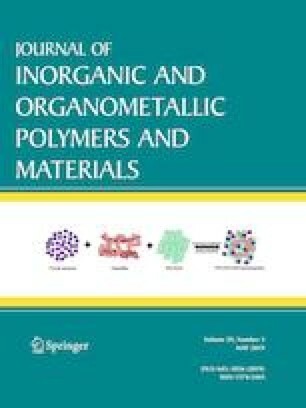 This study was carried out to examine the near infrared (NIR) reflectivity of Cr-doped ZnO nanopigments prepared by simple thermal decomposition of zinc acetate dihydrate and chromium(III) acetate hydroxide as precursors of Zn and Cr, respectively. XRD, FTIR and SEM have been used to characterize the microstructure and morphological properties of the synthesized nanopigments. The obtained results referred to ZnO wurtzite hexagonal structure in absence of other ZnO phases or any phases based on chromium. The obtained particles of the investigated samples are uniform rod-like shape with average diameter about 50 nm. The diffuse reflectance measurements exhibited the decrease in NIR reflectance with increasing Cr content. The sample with lower content of Cr, 0.5 wt% of Cr precursor to Zn precursor, exhibited a maximum value of NIR solar reflectance (R*) of 53.1% with respect to the other doped samples. The optical energy gap (Eg) of the investigated nanopigments were calculated using diffuse reflectance spectrum in view of Kubelka–Munk assumptions and the obtained average value of Eg is 3.219 eV with small standard deviation ± 0.015 eV. The authors are indebted to the Deanship of Scientific Research at Nourah Bint Abdulrahman University, for funding this study and [the relevant Project Number is (37-s-202)].